EVEN without delving into the specifics of Christian doctrine (it is hardly an expertise within, unlike Islamic Jihad), it is decidedly the truth that certain denominations are highly liberal, AKA progressive-based. Similarly, Judaism has its own left-leaning stream; that which embraces all manner of heinous actors. Yes, the “tikkun olam” bandwagon and multi-culti interfaith crew – leftist fetishists operating under “humanitarian” cover. But let’s not digress. IN this respect, a generalized target is being placed on the activities/teachings of the Evangelical Lutheran Church in America, the umbrella entity of the movement. For the record, its leftward turn has caused countless adherents to jump ship, so to speak. Nevertheless, the laser-focus is on a particularly dangerous “Palestinian” Pastor….wait and see. THAT being established, the following exploration into the underbelly of Mitri Raheb – Pastor of the Evangelical Lutheran Church in Bethlehem – should serve as an “opening shot.” Bear in mind, this is due to an investigative “shout out” into his Jihadi proclivities. Associations. Resultant, a preliminary case must be built. ALAS, it is not for nothing that Raheb aligns with a leftist-driven ecumenical umbrella, in so far that their ears are completely receptive to Islamic Jihad-driven overtures – never mind that he is an Arab Christian! Indeed, the red-green alliance is (more than) in operational play. As a Pastor, know that Raheb’s real mission has little to do with “Christ’s teachings.” Rather, the Church’s centrality to anti-Zionist activities is front and center. TO said end, a backgrounder is in order, after which the real meat will come into focus. Following in the footsteps of countless leftist and Islamic brothers and sisters, Raheb sets the stage for Israel’s (anticipated) demise. Mostly, ala “Jihad of the pen” and public engagements (notwithstanding material support given), tarring Jews as “occupiers” of Arab Christian/Islamic land is an utmost imperative. Ultimately, his aim is to lend “legitimacy” to acts of Jihad. Consequentially, extricating Jewish (biblical and historical) roots from Israel is mandatory. IN his book, “Faith In The Face of Empire” (just one out of several on the same theme of “liberation”…code-word for Jihad), the following, in one variation or another, is used as justification for all manner of “resistance” – of course, under the imprimatur of “religious” cover. – “Liberation is not an end to itself (Raheb, 82).” It is not enough to “be like all the other nations.” It is not enough to “restore the kingdom.” The goal must be a free and independent state. STIPULATED, his real thrust couldn’t be clearer. Besides, as is known, straight from the horse’s mouth is always best. STILL yet, in furtherance to said indictment, have no doubt: Raheb is a VERY dangerous leader of Christian anti-Zionism, so much so, he “deserves” top-dog billing. For decades, he has been traveling throughout the west (with his sidekick, Anglican counterpart Naim Ateek of The Sabeel Ecumenical Liberation Theology Center), for the sole purpose of delegitimizing the “Zionist entity”, again, under Pastoral garb. 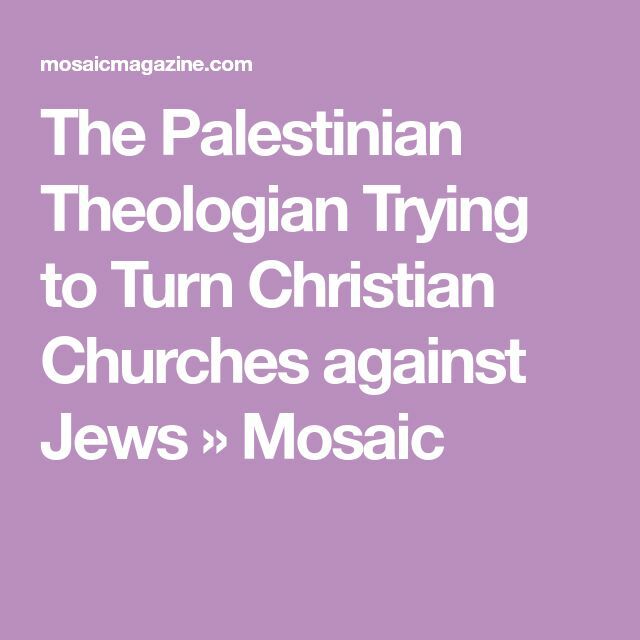 Demonstrably, he is fully cognizant that “Liberation Theology” is cat-nip to leftist Christian audiences; selling them the lie that the so-called “Palestinian” people are akin to Jews living under Roman rule and must “resist the occupation” – by any means necessary. Basically, Jihad, über alles. INCONTESTABLY, there is a DIRECT pipeline between Raheb’s Church and Hamas; the Gazan operational arm of the global Jihadi hydra, the Brotherhood Mafia. More specifically, Hamas, founded in 1987, is an offshoot of the Egyptian branch of the Brotherhood. NOW, onto the “opening shot” of Raheb’s tie-ins to Hamas, aside from his clearly unambiguous support thereof – material or otherwise. IN this regard, let’s start to connect the Jihadi dots – which run straight through Telos, as a primary mover and shaker via (a new “theological” activist movement) the Evangelical Christian community, Raheb, and like-minded associates. Telos’s raison d’être is to support “Palestinian” causes – violent and otherwise. HEADQUARTERED in Washington, D.C., Telos has two co-founders – “Palestinian” Christian Gregory Khalil and Evangelical Christian Todd Deatherage, a former State Dept. employee. Go figure. AND it is through Telos that much of Raheb’s Jihadi messaging spreads like wildfire. Unequivocally, he is a “star” speaker on the U.S. (and western) circuit, duly described as “a select group of Israeli and Palestinian civil society leaders, human rights advocates, opinion shapers, and social entrepreneurs,” who are flown in “to introduce authentic voices from the ground into the American conversation about the Holy Land.” Hmm. NOT only that, since 2013, Telos’s Presidential Advisory Council boasts a “who’s who” of Brotherhood Mafia leaders from its multi-faceted hydras. But one “super star” stands out. Introducing…. IN other words, Al-Qaeda must be taken off the hook! OH, not to be remiss, guess who is the main financial underwriter of Telos? The most virulent (non-Islamic) hater of Israel, that’s who – George Soros, the devil incarnate! BIRDS OF A (RED-GREEN) FEATHER…. This entry was posted in Uncategorized and tagged "Faith In The Face of Empire", "Palestinian" Christian Gregory Khalil, Brotherhood Mafia, Evangelical Christian Todd Deatherage, Evangelical Lutheran Church in America, Evangelical Lutheran Church in Bethlehem, Jihad of the pen, Mitri Raheb, Muslim Public Affairs Council, Naim Ateek, Salam Al-Marayati, Telos Group, Telos's Presidential Advisory Council, The Sabeel Ecumenical Liberation Theology by Adina Kutnicki. Bookmark the permalink.